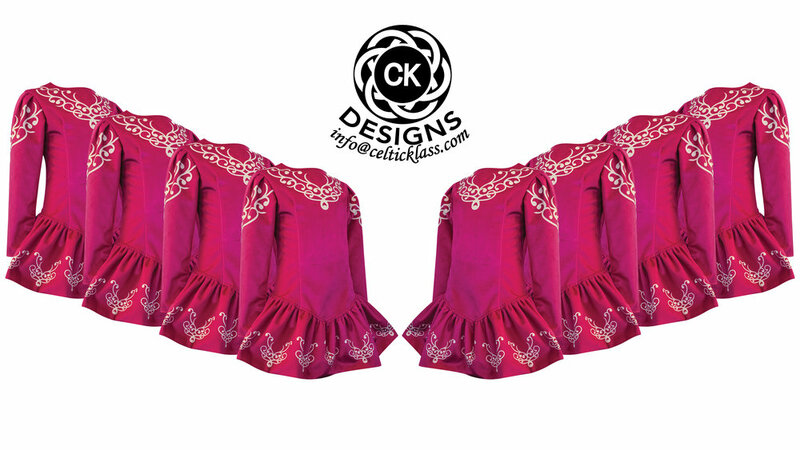 Few other brands have a more distinguished history and stronger connection with Irish Dancing than Celtic Klass Designs. Founded by Josephine Brennan King and Carl King, of idanceirish Ltd, it is the company’s mission to be one of the most recognisable and sought-after brands in the world of Irish Dancing Costume Design. Everything we do is rooted in Irish Dancing. Using the latest innovation in digital print technology, our focus is to bring you, the customer, the best in quality, style and design. Our Objective is to provide the Irish Dance World with a value for money, affordable Irish Dancing Costume without compromising on quality, style or design. And your Team is ready for the stage!! We have a passionate and experienced production team and if you need any help or advice our team are always on hand to help you. the world-renowned Game of Thrones), cutters, seamstresses, quality control, dispatch and customer service.